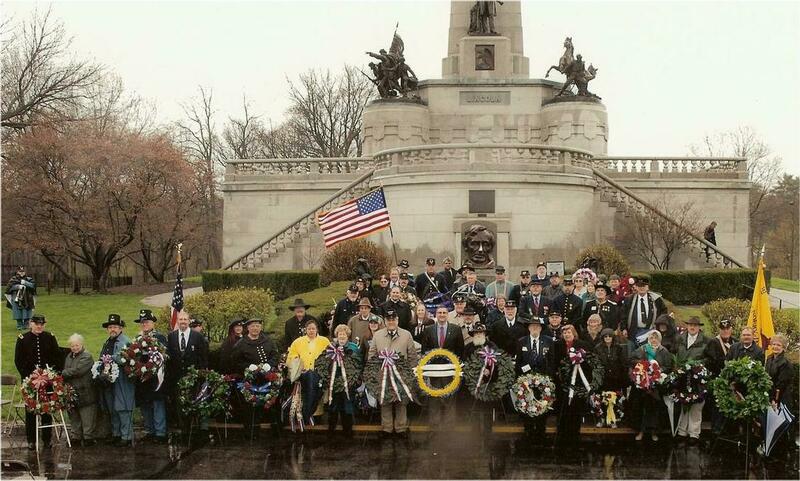 The 51st annual Lincoln Tomb Ceremony was held on Saturday, April 14 in Oak Ridge Cemetery, Springfield, Illinois. Despite the rain, 50 wreath bearers were in attendance to commemorate the 142nd anniversary of the death of President Abraham Lincoln. The Sons of Union Veterans of the Civil War (SUVCW) and the Military Order of the Loyal Legion (MOLLUS) sponsored ceremony began with a parade composed of SUVCW's Sons of Veterans (SVR), Civil War reenactor units, and SUVCW and MOLLUS representatives from various Midwestern Camps and Department, and Commanderies. National organization flags from both the SUVCW and the MOLLUS headed the parade, which was commanded by Major Jack Grothe from the 4th Military District, SVR. The invocation was given by SUVCW National Chaplain Jerry Kowalski followed by the National Anthem played by the 33rd Illinois Volunteer Infantry Band. SUVCW Past Commander-in-Chief (PCinC) Alan Loomis served as Master of Ceremonies. PCinC Loomis presented opening remarks and then introduced SUVCW Commander-in-Chief James B. Pahl and MOLLUS Junior Vice Commander-in-Chief Keith G. Harrison (representing MOLLUS CinC Benjamin Frick), who both provided brief remarks. Musical interludes were presented during the program by the Company Singers of Champion Hill Camp # 17, Department of Indiana, SUVCW, as well as the 33rd Illinois Volunteer Infantry Band. Representatives from the states of Indiana and Illinois also were introduced. Wreath bearers were then introduced and requested to present their wreaths in front of the Lincoln Tomb. Commandery wreaths presented included Michigan (by Commander Bruce Butgereit), Illinois (by Chaplain Father Scott Archer), and Ohio (by Senior Vice Commander-in-Chief Karl Schaeffer). SUVCW National Chaplain Kowalski provided the benediction and taps, played by Mark Heath of Austin Blair Camp #7, Department of Michigan, SUVCW concluded the ceremony. A luncheon followed the ceremony at The Inn at 835 in Springfield. 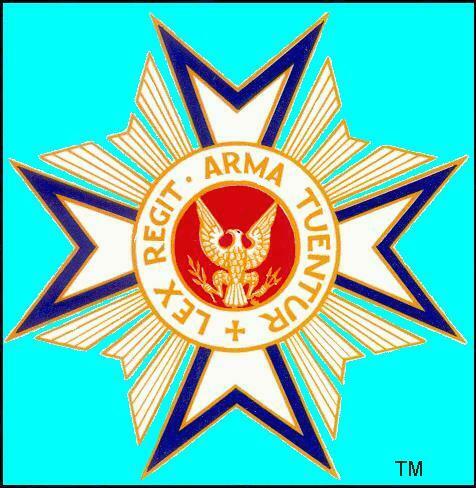 Following the buffet luncheon, introductions were made of national officers of the Allied Orders of the Grand Army of the Republic (GAR) and the MOLLUS in attendance. The luncheon program was presented by Mr. and Mrs. Max Daniels portraying President Abraham Lincoln and Mary Todd Lincoln. 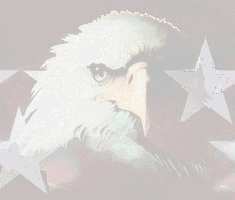 The theme of the program centered around the Gettysburg Address and the Springfield Farewell Address.